Editor’s Note: The following is an op-ed submitted to Framingham Source. Source accepts op-eds and letters to the editor at editor@framinghamsurce.com. One year ago we followed the footsteps of 17 other towns in voting to become a city. As in those other communities, there was controversy and heartache along the way; but all of these communities have seen tangible improvements to their finances, delivery of services, coordination of growth and strategic planning, and we will too. As one of the primary authors of our Charter and a firm believer in its promise to increase transparency, efficiency, participation and accountability as it has in other communities, as well as an unsuccessful candidate for mayor and a student of municipal government, we need to give our new Mayor, Council and School Committee two things: patience and engagement. In turn, our leaders need to be more transparent and open to constructive criticism. It is time for all of us to hit the reset button (again). Our leaders and neighborhood activists all need to take a deep breath, read the Charter to better understand the roles and responsibilities that each of our leaders are accountable and responsible for undertaking, leave attitudes in a metered spot outside the Memorial Building, and get to work. Voters in Framingham and across our Commonwealth and country selected candidates without government experience, knowledge or connections. As a candidate who ran on a progressive reform platform, I understand and embrace voters’ desire for new voices. Now we all – our elected leaders and residents – need to respect and implement the will of voters for a fresh outside perspective and get about the hard work of making our government more efficient, effective, transparent and accountable for everyone. The core group who credentialed Dr. Spicer’s candidacy need to look beyond the missteps of the past five months and help nurture her into the future leader that we as a community need and deserve. A good start would be her campaign promises: Accountable Leadership, Transparency, Participation, Collaboration, and Efficiency. Residents should not have to file FOIA requests or ten-taxpayer suits to get our leader to do what is right, or attend a public spin session to see her. Just because it is allowable under the law does not make it in the best interest of Framingham. And Madame Mayor, I know how hard it can be to admit making a mistake at the beginning of your effort, but learn from me, the sooner you admit it and correct it, the sooner you can be the leader you desire to be. So, personally buy the car from the City with some of your extra pay, submit new positions to Council for approval, make the volunteer application process simple and transparent, practice candor, conduct zero-based budgeting and public line-by-line review like the Superintendent, and engage each and every neighborhood in a meaningful, interactive dialogue about what matters to each. Be our Mayor, be my Mayor. After all, the things that make Framingham great — our people, our institutions, our businesses, our neighborhoods — are the things that matter, not our structure of government or a given candidate. We, as a community, need to stand up and work together. We cannot afford to squander this generational opportunity to look anew at our local government. We need to make some tough decisions and tighten our belts if we are to meet the challenges of a growing school population and underperforming schools, aging infrastructure, declining commercial tax base and soaring costs. 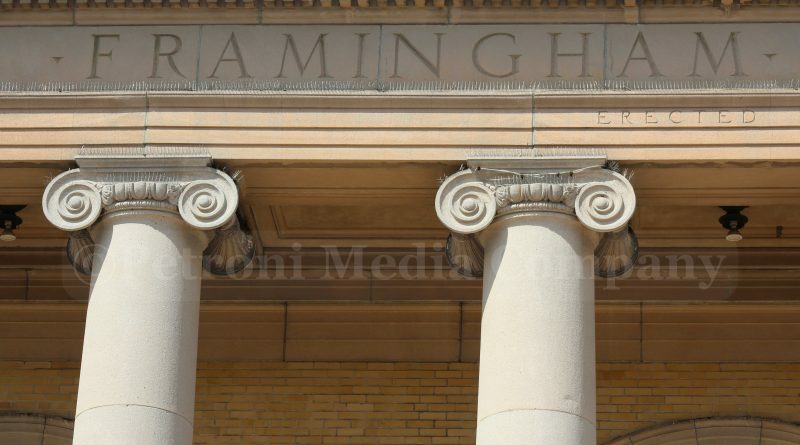 Our Charter has given us the structure, it is now up to our leaders to implement it using best practices and always putting Framingham — its students, taxpayers, residents and businesses — First. John A. Stefanini, is a former State Representative and Selectman, and was a member of the elected Framingham Charter Commission. Stefanini was defeated in the City’s first mayoral election by Yvonne Spicer, who was sworn in as the first mayor of the City of Framingham on January 1.